We assist organizations with documentation or marketing material (e.g. brochures, manuals, website content, PowerPoint presentations, product labeling, etc.) that are written in Cambodian and require accurate translation into English. Of course, in addition to English to Cambodian-Khmer and Cambodian-Khmer to English translation assignments, we can also assist you with the translation of the world's most popular languages to and from Cambodian-Khmer: Arabic ↔ Cambodian; Spanish ↔ Cambodian; French ↔ Cambodian; German ↔Cambodian; Italian ↔ Cambodian; Portuguese ↔ Cambodian; Russian ↔ Cambodian; Japanese ↔ Cambodian; Chinese ↔ Cambodian; Hindi ↔ Cambodian; to name but the most popular... We can source translation expertise for virtually any language pair. 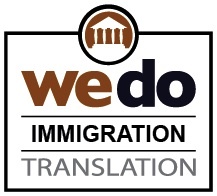 We assist businesses in finding the best available Cambodian-Khmer to English language translation resources – including experienced Cambodian-Khmer language translators (native-speaking Cambodian-Khmer if appropriate or required). In our experience, a Cambodian language native-speaker may not necessarily be the right translator for the job. (See: Common myths and misconceptions about translation.) Though a native-speaker may be preferable for certain translation assignments, having Cambodian as a native language may not 'translate into' Cambodian language expertise (pun intended). An experienced linguist with strong Cambodian and English language translation credentials, in-depth experience and professional credentials, regardless of native language, may often prove to be a better choice. Identifying and securing the services of the appropriate Cambodian-Khmer language resources is what we do! (Refer to our Cambodian translation assignment process for information on our Cambodian translation project management process). In a nutshell, we use professional translators who have a solid mastery of the Cambodian language (grammar, spelling, cultural nuances) and a solid understanding of the subject matter. 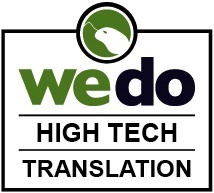 Once we are confident that the appropriate freelance resources have been identified and certain that we can honour the project deadline, we submit a quote for the translation assignment. If we cannot secure the appropriate resources, we will do our best to refer you to Cambodian translation sources of information that we have confidence in. Talk Now! is the world's best selling language learning CD-ROM series for beginners, used by more than three million people to date. Designed for newcomers to the language, Talk Now! is the perfect method to access a wealth of comprehensive fundamental vocabulary and accurate pronunciation in one user-friendly plan packed with useful words, a picture dictionary, and quizzes. Anyone over 10 years of age will find the program indispensable for improving listening, understanding and spoken language skills. The "intelligent" software feature remembers words you get wrong and targets your weak points. Extensive basic vocabulary, from first words, food, colors, phrases, parts of the body and numbers, to telling time, shopping and countries. Each of the target languages for Talk Now! has help available in an additional 102 languages – simply choose the flag of your native country in the beginning of the program & EuroTalk's Talk Now! Program will provide instruction in your native language. Each topic contains listening practice, an easy game, a hard game, a printable dictionary as well as the opportunity to record your voice and hear how you sound in comparison to the two native speakers who tutor the user throughout the Talk Now! course. Each question that is answered correctly increases the user's score - get an answer wrong and points will be lost. There are 1800 points in total to gain from the disc. A full score earns the user a 'Gold Award'. 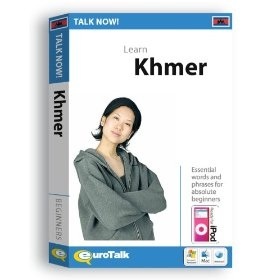 Khmer, or Cambodian, is the language of the Khmer people and the official language of Cambodia. It is the second most widely spoken Austroasiatic language, with speakers in the tens of millions. Khmer has been considerably influenced by Sanskrit and Pali, especially in the royal and religious registers, through the vehicles of Hinduism and Buddhism. It is also the earliest recorded and earliest written language of the Mon-Khmer family, predating Mon and by a significant margin Vietnamese. As a result of geographic proximity, the Khmer language has affected, and also been affected by, Thai, Lao, Vietnamese and Cham which all form a sprachbund in peninsular Southeast Asia. Khmer has its own script, an abugida known in Khmer as Aksar Khmer. FreeTranslationClassifieds.com website for Cambodian Translation resources. Everything the web has to offer in terms of bi-directional Cambodian dictionaries, Cambodian reference material, Cambodian translation software and hardware that is of particular interest to translators working with Cambodian, as well as the Cambodian translation and linguistics community can be found in the CILFOtranslations.com Cambodian Translation Bookstore. 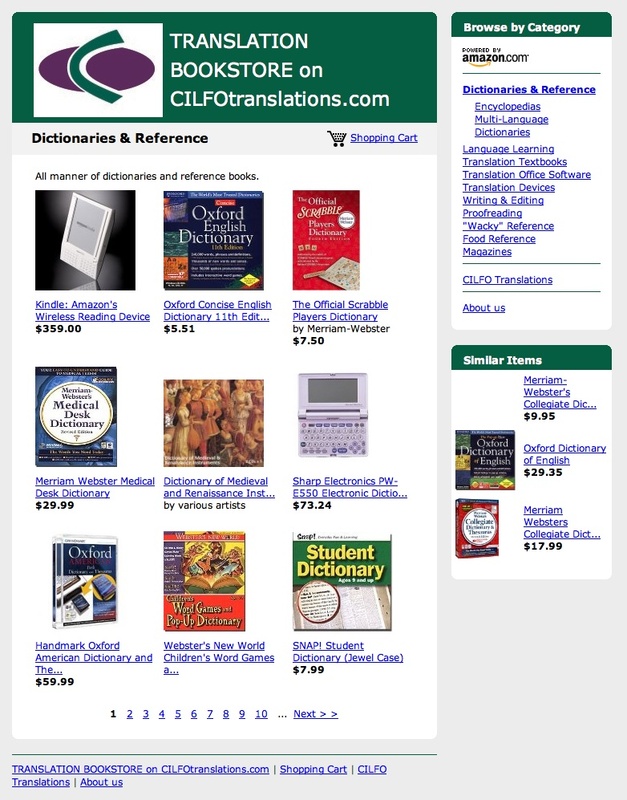 Find New and Used Proofreading & Editing Resources and Multi-Language Reference Material in the CILFO Translation Bookstore.